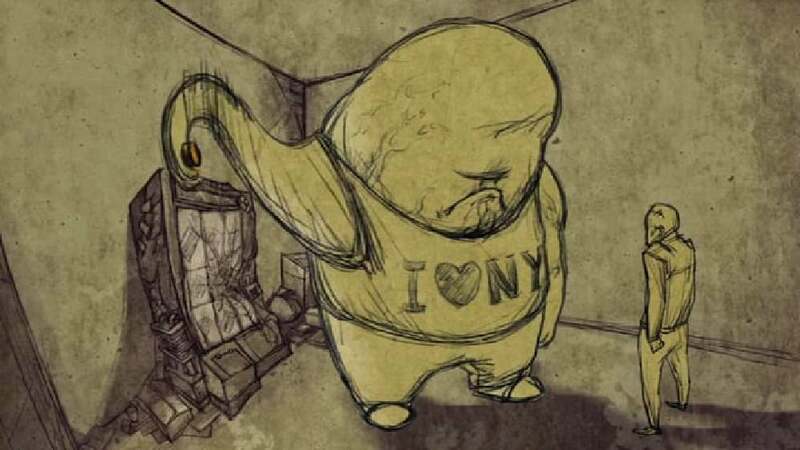 “Out of Order” is a 2D animated short film which expresses emotions such as impatience, anger and amazement. The protagonist of the story is a man who wants to buy something at a vending machine. He inserts a coin and does not get anything, as the machine is out of order. The animation, which is reduced to only a few colours, makes use of various speeds of narration: some calm sequences, for example, which show the impatience of the person waiting for the item, as opposed to fast images sequences, which visualise the path of the coin within the machine.